Thomas P. Schwaba has been helping his clients recover for more than 30 years. His practice is driven with the sole purpose of helping those who need help the most, ordinary people, against the most powerful corporate interests. 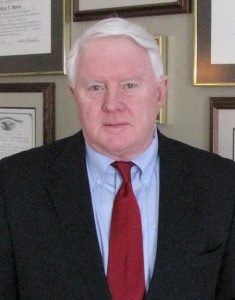 In doing so, he has obtained million dollar recoveries in cases including a verdict for an employee abused by his employer, a verdict for the wrongful death of a mother killed in a trucking accident, and a medical malpractice action in which the physician publicly apologized for the negligence. He was the first lawyer to introduce evidence regarding post-traumatic stress disorder into the courtrooms of Wisconsin and has won the largest verdicts in two separate counties in Northeastern Wisconsin. Fittingly, Thomas has been a guest lecturer of the Litigation Section of the State Bar of Wisconsin and Wisconsin Advocates for Justice, and is the published author of “Preparing for Trial” of the Wisconsin Trial Practice Manual for lawyers in Wisconsin.